We are North Florida’s premier wholesale t-shirt printer. 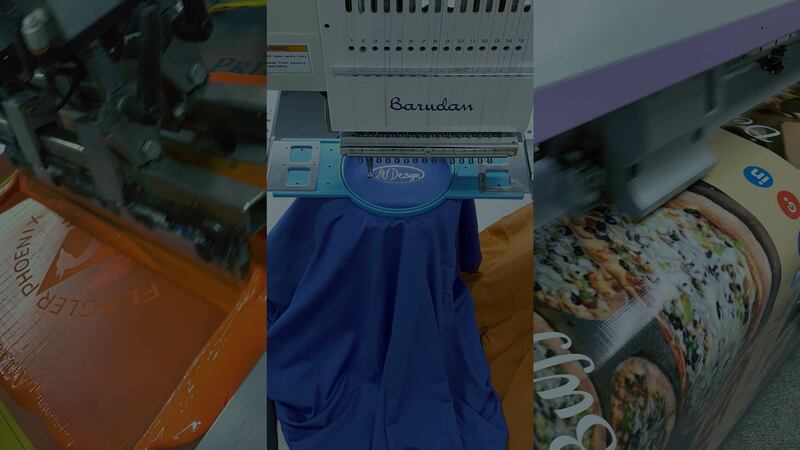 We also specialize in embroidery, direct-to-garment printing, and wide-format printing. At J&J Design, we’re about more than shirts. We’re about you and everything you love. The passion you share with your group, club, or team; the excitement you have for your event or cause; and the drive that makes your business stand out from the rest. We believe that custom t-shirts do more than just make you look good – they help you feel good and inspire you to do good as well. We’re passionate about custom gear, but what we love even more is helping you bring what you love to life. You can use the above icons to learn more about our decorating processes. Across the top you will find a link to our online catalog. If you have any questions or would like to find out how we can help you with your upcoming project, please reach out to us at info@jnjdesign.com.